Discover endless adventures and hours of imaginative playtime with these exciting and realistically detailed safari animals! 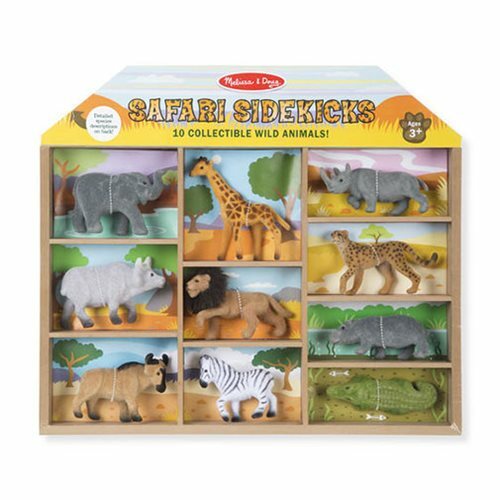 The Safari Sidekicks Playset includes 10 felt-covered miniature figures. The set includes wild creatures of all sizes, from the towering giraffe to the majestic lion with a flowing mane. All the animals store in individual compartments in the wooden storage tray. Kids will love to play with and learn about life on the savannah! Ages 3 and up.